I love what God is beginning to stir in the heart (and hearts) of Ridge Church. This is a young church both in how many worship services we've had and in our general demographic but people are really beginning to embrace generosity in a time when most have reacted in fear by closing their fist tightly around their material goods. Generosity when it doesn't make sense gets people's attention! 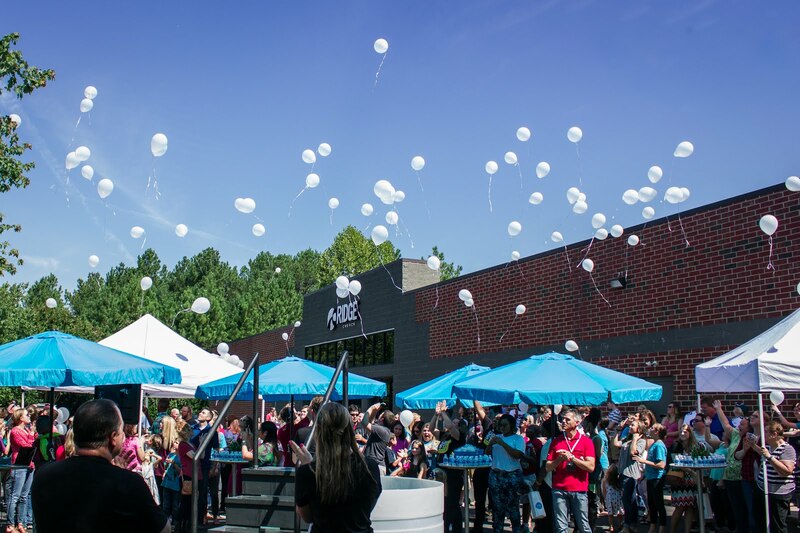 Recently Ridge Church created something we called the NOW PROJECT. For more on that go HERE or HERE. This past weekend we unveiled what we are calling "NOW GO!" --the extension of the NOW project. Simple concept. Take a bag. Fill it with helpful resources. Put it in your car. When you see a need or hear of a need. Give the bag away. 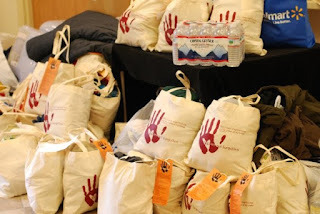 These bags in our cars will be a simple reminder to lift our eyes and be aware! 100 bags were taken last week. Whether it is next week or next month that you give the bag away--take a minute to go to our Facebook Fan Page and share your experience. Our message to people is simple--Regardless of how your situation makes you feel "God has not forgotten you." Are you doing anything that matters? 2010 needs to be full of activities and pursuits that matter...stuff bigger than us--and YES some things that don't directly benefit us! It has to be about more than paying bills, climbing the corporate ladder, or surviving the schizophrenic life of a taxi mom. I want to brag on the students and their leaders at Ridge Church for a minute. Many of you have heard of advent conspiracy (check out the video HERE). Short explana tion--instead of receiving tons of stuff for Christmas or a birthday you give up something or creatively give in order to provide clean water to people in our world that don't have it. Our middle and high school students set out to do something that matters more than ipod touch, wii, or the newest outfit from Hollisters. They set out to raise $ to build a well that would produce clean drinking water for an entire village. Cool story #1 I saw a facebook status of Paige Burchard (one of our students) who has one of those birthdays that is dangerously close to Christmas. Her status said something like this: "Please no birthday gifts this year. Instead of gifts I want people to give to advent conspiracy to build a well for people that don't have clean drinking water." Not really the norm for teenagers to give up personal benefit in order to give to others in need. Awesome example! Cool story #2 Johnny Marsden, Drew Marsden & Riley Gustat (from Student Impact) with Johnny’s Small Group Leader Pierre Gustat as well as Adam Marsden from Upstreet had a neighbor whose tree fell in the backyard. Pierre took the kids over there. They chopped it up for him & cleaned it up! He wanted to pay them but they decided they just wanted him to donate all the $ to Advent Conspiracy and Project Generosity! He wrote them a $200 check.--That's the church as it should be my friends...So, Are you doing anything that matters in 2010? Good news--there is still plenty of time to get started and make a difference. Just do something!